Rogers & Willard Favorites - Rogers & Willard, Inc.
We’ve built and renovated some exciting commercial spaces since first opening in 1989, so we wanted to take a moment and reflect on our favorite constructions. 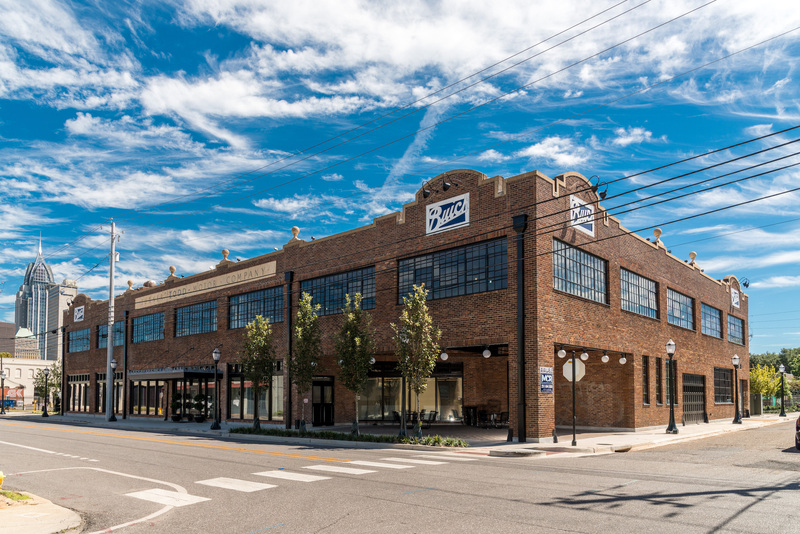 Eighty-nine years after the original Buick Building’s creation we gave it a facelift. Renovation of the 20,000 square foot space began last year and wrapped up during the summer of 2015. Although the inside has been updated, the construction company has left much of the buildings old school charm. Since the renovation of the building, three different companies have moved in, including Rogers &Willard and there is still room for more. Rogers & Willard gutted this church from the inside out, giving it a fresh look while still keeping some of the character the church is known for. Started in X First United Methodist Church is located in Cullman, Alabama. The church prides themselves on connecting people through their radical hospitality. Beyond a sanctuary, the church has spaces for Sunday School and a nursery for kids. What was once a run down building, is now a beautiful theatre for people of all ages in Mobil, Alabama to come and enjoy. The front row of the theatre feature recliners that patrons of the theatre rave about. Beyond the comfy seats, the theatre shows both current independent films and old classics and locally produced favorites.